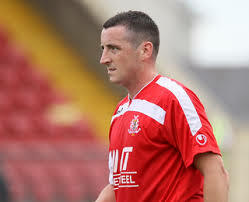 Annan Athletic are delighted to announce another addition to the playing squad in Ryan McStay. Ryan is an experienced midfielder having played at a number of clubs at a higher level and has also played under Jim Chapman at Dumbarton. At Ryan’s first club Falkirk, he scored the winning goal that secured the club promotion to the SPL as it was at that time.